[SatNews] Polsteam, one of Europe’s largest operators of bulk carriers, has selected the mini-VSAT Broadbandsm service from KVH Industries, Inc., (Nasdaq:KVHI) as its satellite communications solution. Polsteam, which is officially known as Polska Zegluga Morska, intends to install the TracPhone® V7-IP satellite communications systems on 60 vessels. Technical support and installation of the KVH maritime VSAT systems for Polsteam’s vessels will be executed by EPA Marine, which is based in Szczecin, Poland. EPA Marine’s team of highly qualified engineers specializes in installation and commissioning of maritime communications and navigational equipment. KVH is the dominant player in the global maritime VSAT market, according to a recent industry report by Comsys showing that more vessels are equipped with KVH mini-VSAT Broadband service than the next two maritime VSAT competitors combined. KVH and its technology partner, ViaSat, Inc., use ArcLight® spread spectrum technology to deliver fast broadband service, with Internet download speeds up to 4 Mbps. With its enterprise-grade infrastructure, the mini-VSAT Broadband network carried 500 TB of data and 25 million voice minutes in 2014. 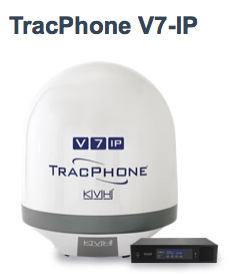 Designed exclusively for the mini-VSAT Broadband network, KVH’s unique TracPhone V-IP satellite communications antenna systems are built 85 percent smaller than typical VSAT antennas to install more easily on all vessels. 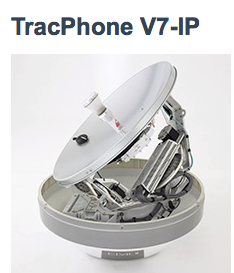 The TracPhone line offers multiple antenna sizes ranging from the 37 cm diameter TracPhone V3-IP, to the 60 cm diameter TracPhone V7-IP, and the 1.1 meter diameter TracPhone V11-IP. KVH recently shipped its 5,000th TracPhone system for the mini-VSAT Broadband service. To further help maritime operators meet the challenge of the increasing reliance on broadband by both crew and operations, KVH recently introduced the IP-MobileCastTM content delivery service. This multicasting service uses the mini-VSAT Broadband network to deliver a separate data stream of news, sports, entertainment, and training content to improve the quality of life for crew members onboard commercial vessels. The IP-MobileCast service also delivers operational data such as electronic chart updates and weather information to help optimize fleet performance.